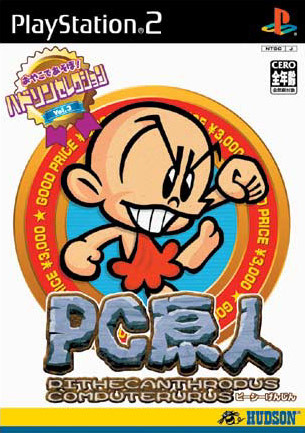 14 years after its debut, PC Genjin is remade for GameCube and PS2 as the third game of four in the Hudson Selection series of game remakes. 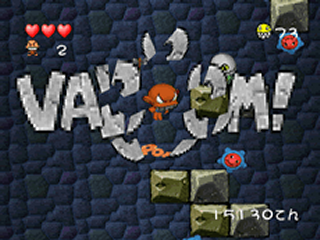 While the game remains mostly the same as the original, the graphics and sound have been completely overhauled. 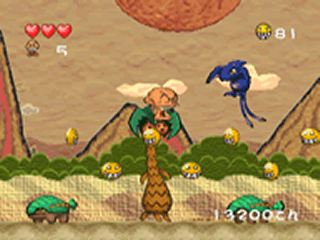 The graphics are fully 3-D rendered and are similar in design to Yoshi's Story. 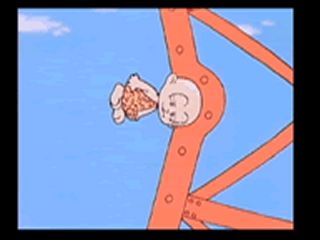 Bonk has a meaner look and practically every sound effect is spelled out on-screen. 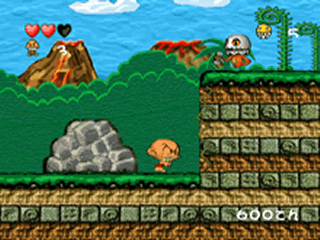 Some of the levels are altered. Fruit is not as common and there are no crystal hearts, but lives are much more plentiful. 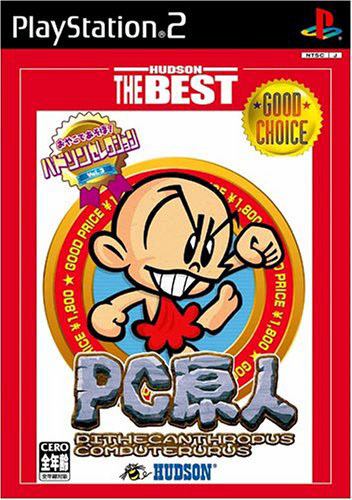 There are three difficulty levels, which after being fully completed, unlock the three original PC Genjin Japanese TV commercials. Obtain all 10 secret wheels in each difficulty level to unlock each commercial. 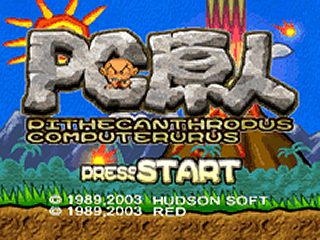 At the title screen use the Left and Right buttons on the Directional Pad to cycle through the different faces for Genjin.